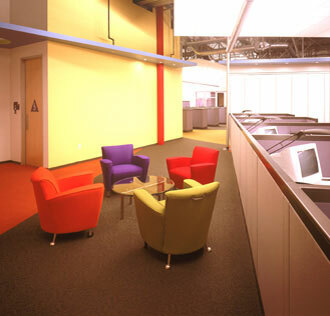 Amy Castelano with ASD International, San Francisco, CA worked on this project for Earthlink, Roseville, CA Carpet used: Positano and Jaspe’ “I selected Atlas Carpet Mills, Inc. because you can depend on their carpet’s quality and performance. Also we were on a tight schedule, only 4 months from start to opening, and I knew Atlas could deliver,” Amy said when talking about why she selected Atlas and discussing the challenge this project presented. Click here for more information about Atlas Carpet Mills.